I shouted, ‘Violence and plunder!’ Because the word of the Lord was made to me a reproach and a derision daily” (Jeremiah 20:7-8). 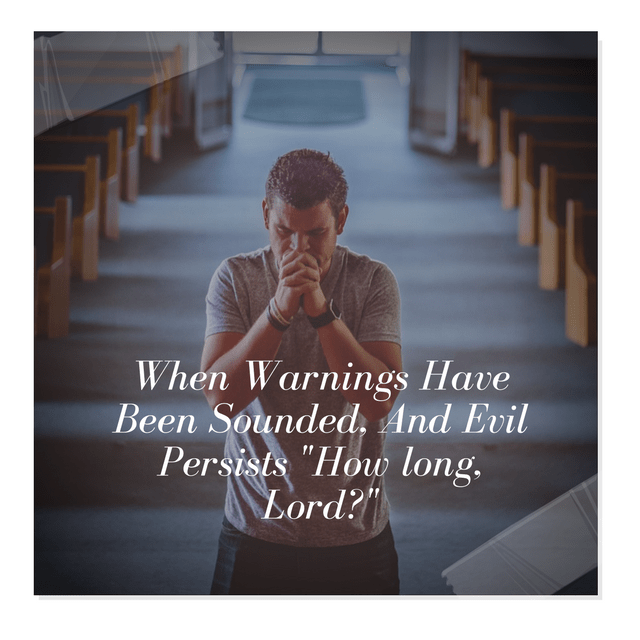 But Jeremiah could not stop warning God’s people. Even though his prophecies seemed to be unfounded, he kept prophesying. I feel the same fire burning in my soul that Jeremiah felt and I’m more convinced than ever that God has “set His face” against this nation for its bloodshed and arrogance against His name, and His judgment is due! On the other hand, I thank God for the many promises in His Word to protect and bless His people in and through all storms. God’s praying people do not need to fear, nor should we worry or fret. “The Lord also will be a refuge for the oppressed, a refuge in times of trouble. And those who know Your name will put their trust in You; for You, Lord, have not forsaken those who seek You” (Psalm 9:9-10).